Happy Monday! I hope everyone’s week is starting off better than mine. The AC is out at our house and today is suppose to be record breaking heat… ugh! Does anyone want to take a trip with me somewhere cooler?! lol. 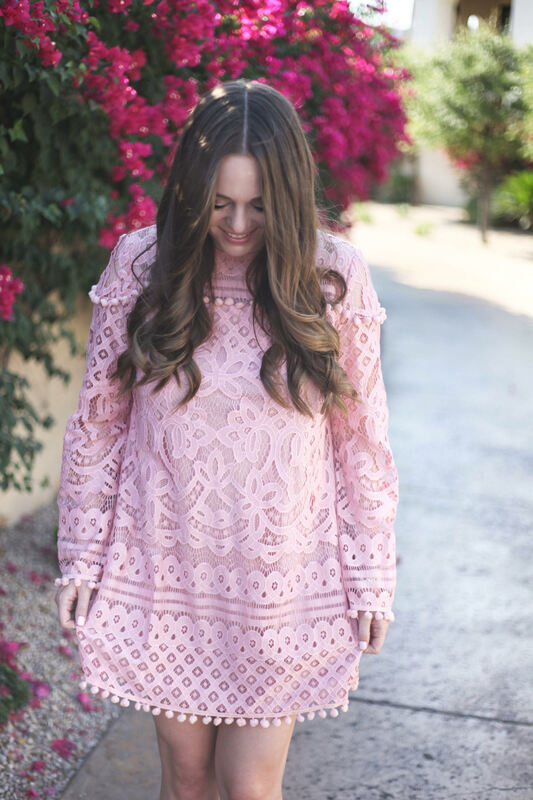 I wanted to share this pink pom pom dress that I recently purchased from one of my favorite online retailers, Shein. 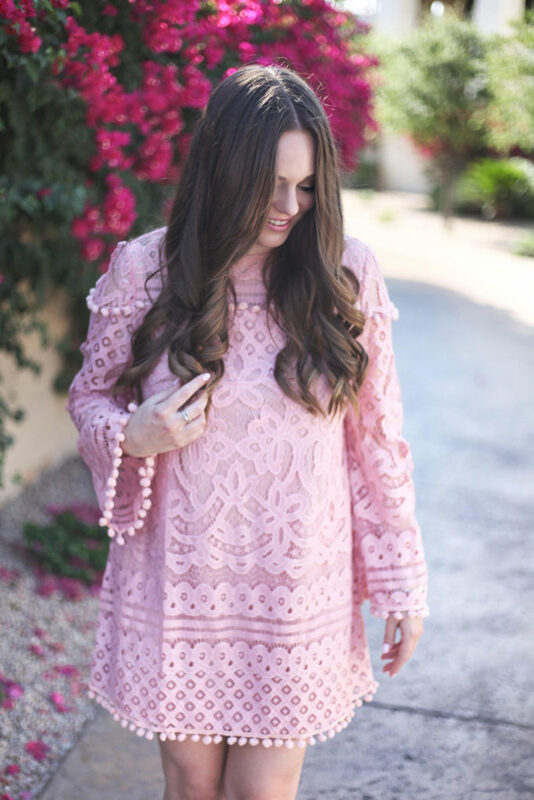 This dress is perfect for a summer wedding, bridal brunch or some other fun summer event. And, you wouldn’t believe the price… it’s under $30! I really love finding unique pieces like this dress that I know I wont be re-wearing a lot. I hate when I buy an expensive dress for an event and then I don’t wear it again. But, the best part about this dress is that it looks so much more expensive than it really is! 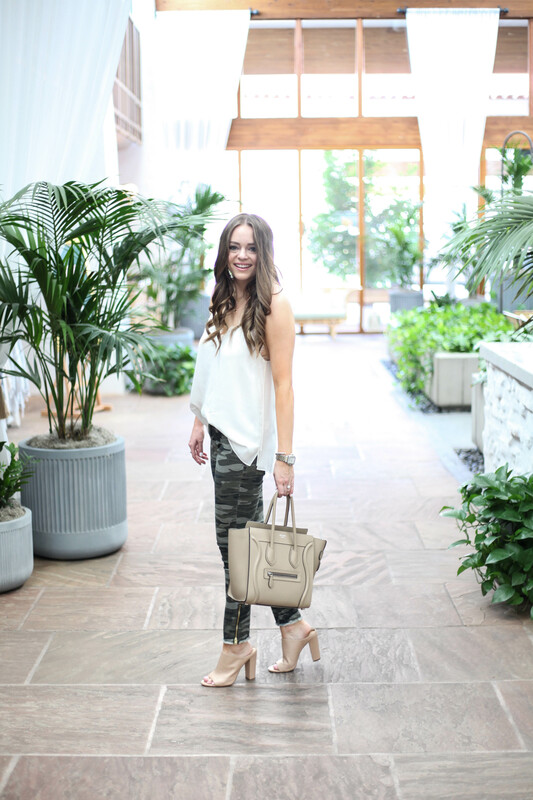 I would highly recommend Shein for shopping on a budget. You can find some really cute and unique items.